Criminal trials are a complicated topic in criminal defense. There are only three ways a criminal case can end: 1) the case can be dismissed; 2) the defendant can take a plea; or 3) the case is decided at the end of a criminal trial. There are a lot of considerations when facing a criminal trial, and a criminal defense lawyer’s skills are necessary to navigate criminal trials. Yes, you are legally entitled to represent yourself, but that is almost never a good idea. If you cannot afford a criminal defense lawyer and meet the indigency requirements, you can have a court-appointed criminal defense lawyer represent you. In this blog, we will talk about just some of the many considerations, processes, and procedures that are linked to a criminal trial. 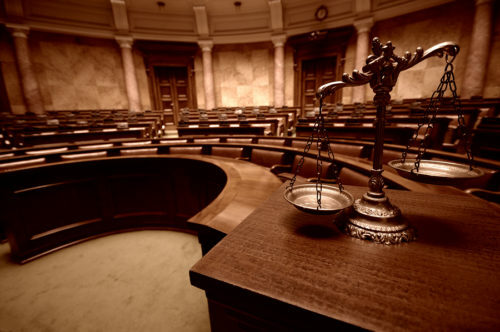 In this blog, we will discuss what to expect in a Superior Court criminal trial. For the sake of simplicity, we will cover how criminal trials work in the North Carolina criminal justice system. When you are charged with a crime in North Carolina, more often than not you are given a plea offer. In Superior Court, you plead guilty or not guilty at your arraignment, and if you plead guilty, you will be sentenced and the case ends. If you plead not guilty the case is set for trial. *Shortly after arraignment, the trial is scheduled (typically within 20 days) any affirmative defenses that are going to be used must be formally noticed to the prosecution. The first step in any criminal trial is the pre-trial motions by both parties. We will talk about this in greater detail in another blog. In a Superior Court criminal trial in North Carolina, the finder of fact is the jury. Both the prosecution and the defense are involved in the process of selecting jurors whom they believe will be fair and impartial and determine the facts. Both the prosecution and the defense will have an opportunity to present opening arguments, where they have an opportunity to tell the jury what they forecast that the evidence will show. Criminal trials are all about the evidence that is provided by the witnesses through testimony. Witnesses must be called for the prosecution because the defendant is innocent until proven guilty, and it is the government’s burden to provide evidence to prove that guilt beyond a reasonable doubt. The defense not only has the opportunity to cross-examine those witnesses, but they can call their own witnesses as well. However, since the burden is with the government, the defense is not required to call witnesses. *Typically, witnesses can only testify about their personal knowledge and not their opinions. Expert witnesses however can testify as to their personal opinions on the matter in which they are considered an expert. You can read more about expert witnesses in a criminal trial here. After the close of all the evidence from both sides, the prosecutor and the defense attorney have the opportunity to make closing arguments. This is intended to be a summary of the evidence that was presented and the final argument of each side to the jury, to try to convince them to vote their way. At the close of evidence, the judge will “charge the jury”. Meaning, the judge will instruct the jury on the law that they are to follow. Jury deliberations then begin. Deliberations can be quick as a few hours or can last for weeks (or even longer in rare cases). A jury can return a verdict of guilty or not guilty. The verdict must be unanimous. Meaning, all 12 jurors must vote guilty to return a verdict of guilty or all 12 jurors must vote not guilty to return a verdict of not guilty. If the jurors cannot make a unanimous decision, the judge may ask them to try again. If they still cannot agree, a mistrial will be declared. If a mistrial is declared for this reason, double jeopardy will NOT bar the State from re-trying the case. The State will make a decision to determine whether they want to dismiss the case, offer another plea deal, or try the case again. If the defendant is found guilty sentencing is shortly after the verdict is read. Once again both sides get to present information to the court, this time judge hears it (the jury has since been dismissed), in order to help the him or her decide of what a fair sentence would be. At Gilles Law we handle all manners of criminal trials. We hand North Carolina criminal defense South Carolina criminal defense, and Federal criminal defense. If you have been charged with a crime and you want to try your case, contact us.